ITV is making a number of distribution changes affecting Freeview, Sky and Freesat viewers in the former ITV Central South region at the beginning of February. It follows changes to the Channel 3 licences made last year, which officially attach the Oxford TV transmitter and its relays to the ITV Meridian region instead of the Central region. The changes will take place on 2nd February 2015. Freeview viewers in parts of Herefordshire, North Gloucestershire, Oxfordshire and Worcestershire receiving their TV service from either the Ridge Hill or Oxford transmitters and their relays are affected. They will see pop-ups on-screen ahead of the changes. 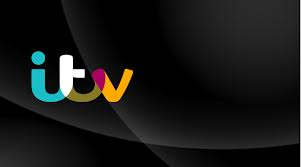 As a result of the changes, affected viewers may need to retune their Freeview equipment to continue watching the standard definition version of ITV and some other channels, where equipment does not update automatically. In Oxfordshire, additional changes have been announced which will also affect ITV+1 and ITV HD. Here, viewers currently receive regional news from either Meridian or Central, depending on whether they are watching on ITV, ITV+1 or ITV HD. From 2nd February, Meridian replaces Central on ITV+1 and ITV HD. Digital UK, managers of the Freeview platform, say: "These changes are being made to ensure viewers receive the correct programming and advertising for their ITV region." In the case of ITV HD, which carries the regional version of Meridian for Kent, the changes in Oxfordshire are linked to advertising regions rather than news regions. Changes are also expected on Sky and Freesat, with ITV HD and ITV+1 versions available in Oxfordshire switching from Central to Meridian. a516digital understands that series links on services such as Sky+HD will be affected and will need to be reset following the changes. Further information for satellite viewers is expected to follow in the coming days.